It’s sad how often the idea of “moral high ground” has been manipulated to justify the selfish initiative of tyrants and theological enslavement of nations. To our clear detriment, the ploy is effective more often than not. Sunni clerics employ it to subjugate woman and justify 10 year-old suicide bombers. Joseph Smith spawned a Mormon religion whose perplexedly outrageous tenets are only over -shadowed by its congregation’s sheepish acceptance of them. Isabella tortured, maimed and dispossessed her own people as well as those a continent away. 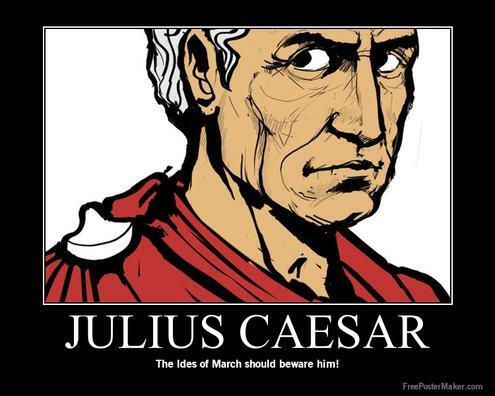 Julius Caesar marched on Rome and her Republican Government, touting that the poor must be “freed from the tyranny and wickedness of aristocracy”. He failed to mention what he was marching back from- the slaughter and sale of 250,000 “poor” Gauls. Napoleon claimed monarchy amoral and conquered Europe on those grounds, only to crown himself emperor for life at Notre Dame. Mao, Ho Chi Minh, Lenin and Stalin used the morality of “economic fairness” to win the admiration of their people – an avenue then exploited to genocide a generation of scholars, philosophers, poets and painters. History has given us too many examples to count. Blaming these misguided acts on inherent wickedness seems too simple, a cheap method of shifting responsibility onto man as a whole. If collective responsibility rests anywhere it may be in the opposite mentality – a natural sheepishness. Those among us who possess the traits of Caesar, Mao or Lenin – a deeply narcissistic sense of personal value relative to others and the willingness to exploit it – are few and far between. Our true plight lies in a devastating side product of these rare personality flaws in conjunction – that they often lead to power.